The summer transfer window closes on Thursday, August 9. 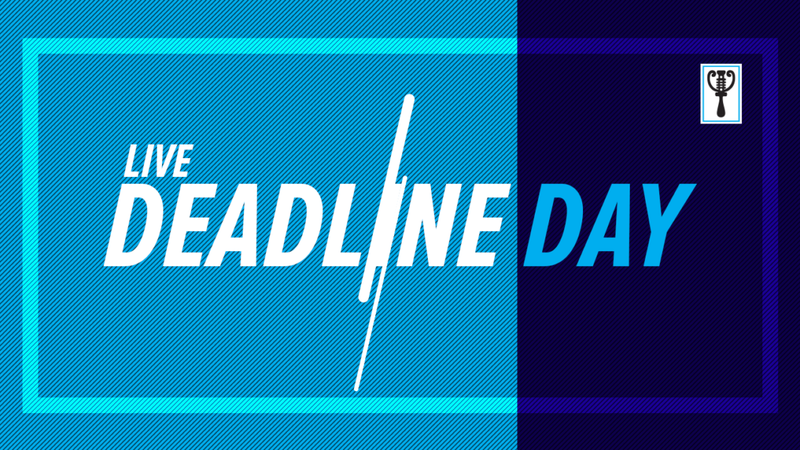 Follow all the deadline day deals and drama with Guardian Sports. The English Premier League kicks-off on Friday, but the clubs have until 5pm to do business as the window shuts. However, English Football League clubs may sign players on loan until the end of the month. Done deal – Luciano Vietto has completed his move to Fulham from Atletico Madrid. And here I am feverishly waiting for their announcement. VIRILITY maybe? Done Deal! Newcastle finally got their seventh signing! Rafa Benitez is happy to welcome 29-year-old Argentine, Federico Fernandez. He has signed a two-year deal. Done Deal! Watford on another deal! West Ham midfielder Domingos Quina has signed for Watford on a four-year deal. Done deal Jordan Ayew has finally completed his move to Palace. Leicester have reached an agreement with SC Freiburg for highly-rated defender Caglar Soyuncu. The defender was linked with a move to Arsenal but no deal materialised. The centre-back joins Claude Puel’s side for £19m. Sky reports that the defender could leave Chelsea for Everton, however to this point he is yet to travel to Merseyside from London. Here’s an exciting one, Stoke have completed the signing of Swansea’s Sam Clucas. He joins Nigerian Oghenekaro Etebo as midfield options for Stoke City. We exhaustedly announce Fulham have completed yet another deal… Defender Joe Bryan joins from Bristol City to raucuous applause and cheers in the Guardian HQ. YAAAY! Fulham’s announcements aren’t quite AS Roma territory but they’ve been decent this window. Ings deal is just one of the ten deal sheets that were submitted. And Everton do not look just done yet with talks of Kurt Zouma joining the Merseyside club. Southampton submitted a deal sheet in time so they have till 7 pm to complete the season-long loan deal with an obligation to sign permanently next summer for Liverpool’s Danny Ings. Clubs can get an extension till 7 pm to complete a deal if they submit a deal sheet by 5 pm. If a club agrees a deal at the last minute, getting all the paperwork completed by the deadline is practically impossible, so the deal sheet. The deal sheet allows a club to confirm a deal has been reached and provides them with additional time to submit the remaining documentation. The player who suffered the ignominy of receiving the first red card of the World Cup has joined West Ham from Fiorentina. Carlos Sanchez had a stint in the Premier League with Aston Villa. Yeah, me too. I do not have the faintest idea who he is. But he’s signed on deadline day. Marseille midfielder Andre-Frank Zambo Anguissa is to undergo a medical in France with the Fulham medical team after both sides agreed a £30 million deal for the midfield enforcer. Done Deal: Everton have completed a deal to sign Andre Gomes from Barcelona. Gomes deal makes it the third player moving to Everton from Barcelona in this transfer window: Lucas Digne, Yerry Mina and Andre Gomes. Players can still leave Premier League clubs to other leagues before their transfer windows close. Barcelona confirms Yerry Mina’s departure. Another deal almost completed for Everton. Yerry Mina will join Everton after the Premier League side agreed terms with Barcelona for the centre back. Mina will join the Toffees for £27m while Barcelona included a buyback clause in the deal. 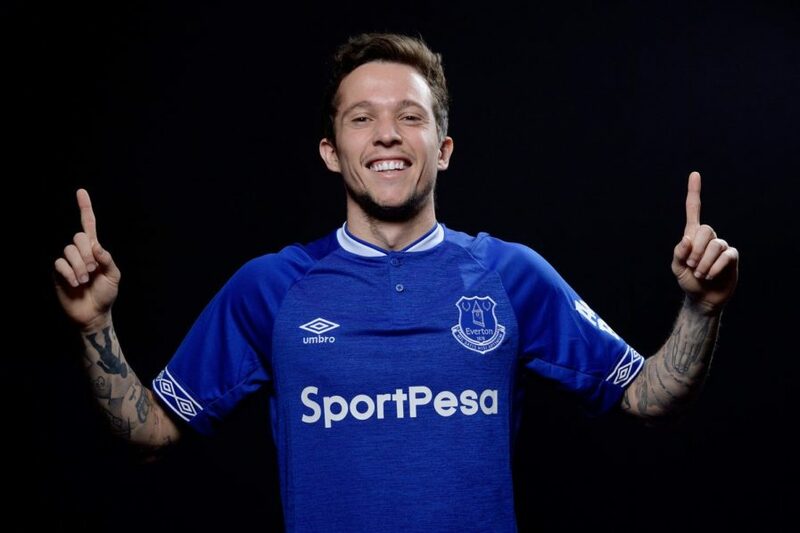 Bernard has joined Evertonfor free on a four-year deal. The Brazilian said Marco Silva was key in his decision to join the Merseyside club. Ten minutes till the window shuts still in ten minutes, which Premier League do you think has had the best window? Fulham could sign Atletico Madrid striker Luciano Vietto on loan before the window closes. 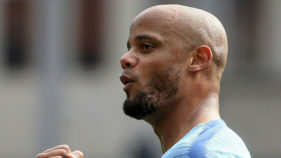 The 25-year-old Brazil international will arrive at Goodison Park from Ukrainian club Shakhtar Donetsk. He will sign as soon as he gets a work permit, Sky Sports reports. Manchester United defender Marcos Rojo is a target for Everton.A deal in a region of £22m ($28m) according to the Telegraph. The premier league wants to strengthen their defence. Done Deal! Arsenal goalkeeper David Ospina has agreed personal terms with Besiktas. Chelsea Coach, Maurizo Sarri seems to be satisfied with about the club’s transfers so far. It is 4 pm! One more hour to go, which players need a move? Chelsea Kurt Zouma to Everton? Chelsea and Everton have reportedly agreed a loan deal for Kurt Zouma, but face a race against the clock to ensure all the formalities are in order, according to L’Équipe. Jordan Ayew has passed a medical with Crystal Palace. A loan deal from Swansea seems successful already. Swansea defender Federico Fernandez has arrived at Newcastle for his medical ahead of his move to the club. Pochettino press conference. . .
Tottenham’s manager Mauricio Pochettino, in his press conference, cleared the air about the club’s lack of activity in the transfer window. He insisted that it isn’t a problem because it was just as important to hold onto the club’s key players. Manchester United have contacted PSG to discuss the possibility of signing left-back Layvin Kurzawa, according to l’Equipe. Ashley Young and Luke Shaw are the current options available to Jose Mourinho at left back. Chelsea new goalkeeper and record signing spoke in a press conference for the first time. Islam Slimani is close to a season-long loan move to Fenerbahce from Leicester City. The Algerian striker spent the second half of last season on loan at Newcastle. After his medical today, Jordan Ayew has arrived at the Selhurst Park to join Crystal Palace. Ayew played for relegated Swansea last season and will join Roy Hodgson’s side on a season-long loan. Barcelona’s Andre Gomes is set to join Everton on a season-long loan, according to Goal. Gomes will have his medical in Spain before travelling to Merseyside to be unveiled at Goodison Park. If the deal goes through, he will join his former Barca team-mate Lucas Digne at Everton. Swansea defender Federico Fernandez could be on his way to Newcastle. 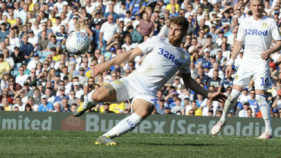 He is literally on his way to Tyneside as both sides are thrash out details of the deal in the region of £6m. Spurs manager Mauricio Pochettino has said getting a new signing will be tough but maybe not impossible. Marseille André-Franck Zambo Anguissa is close to signing a £26m for Fulham. The Cameroon midfielder will have a medical in the south of France, if the clubs agree terms. Done Deal! Victor Camarasa have completed a year-long loan deal at Cardiff City from Real Betis midfielder. And a story with Nigerian interest… VICTOR MOSES could be on the move. His image has been pulled down from a wall at Stamford Bridge according to Sky Sports. Thibaut Courtois has completed his move to Real Madrid from Chelsea. Yerry Mina is in Barcelona for his medicals ahead of a move to Everton. He will be announced as soon as he passes the medical and personal terms. Diego Godin has rejected the chance to join Manchester United after the Red Devils triggered the defender’s release clause. United are in a desperate hunt to find defensive reinforcements ahead of the 2018-19 campaign and the 32-year-old was the first option for the club, but Godin has reportedly turned down the offer. Apparently Harry Maguire is going to Manchester, but only to play against Manchester United as a Leicester City player. Sorry Man Utd fans, Claude Puel has confirmed Maguire is staying at Leicester City. “I can confirm he is going to Manchester, but only for two hours when we play there on Friday. It could be a disappointing window for Tottenham as sources claim their transfer target Jack Grealish will remain at Aston Villa. Reports also say Tottenham will not be making any more bids for Grealish. Towering Colombian defender, Yerry Mina could be on his way to Everton with the officials already in Barcelona trying to finalise a deal for Barcelona player. According to Sky Sports, Yerry Mina will have his medical in the Spanish city to save time. Latest reports have it that Manchester United have submitted a bid for Atletico Madrid centre-back Diego Godin. After links with Leicester’s Harry Maguire, Spurs’ Toby Alderweireld and German centre-back, Jerome Boateng, Godin is the latest centre back to be linked with Jose Mourinho’s side. Done deal! Leicester have completed the deals of Filip Benkovic from Dinamo Zagreb. The 21-year-old Croatian centre-back signed a five-year deal for the Premier League outfit. “I will give all my heart to this club, to all the fans, to everybody. Hopefully we’ll have a very good result this season. The ambitions of Leicester City are so big. I like the Club very much and I think it’s a very good step for me to the next level. I’m very happy to be here. Done Deal! 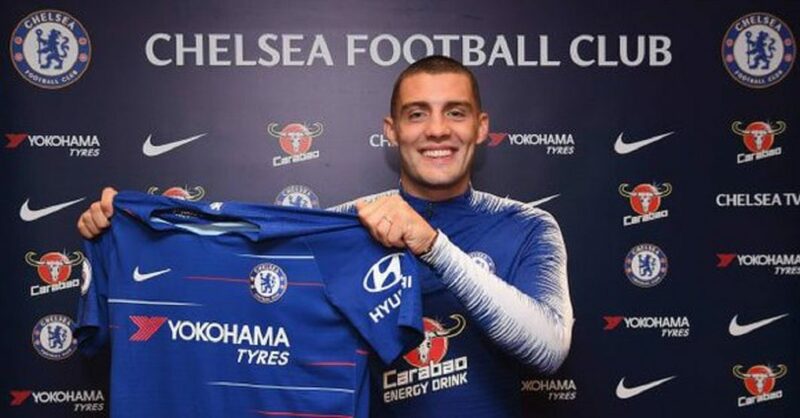 Chelsea have completed the signing of Mateo Kovacic from Real Madrid on a season-long loan deal. The 24-year-old Croatia international arrives as part of a deal which sealed Thibaut Courtois’ move to Santiago Bernabéu. ” I’m very happy to be here at such an historic Club. I’m very excited, as West Ham are giving me the chance to stay in the Premier League and I’m very happy to be part of this new project. West Ham have great fans and play in an amazing stadium, so to sign here brings me great joy. I’m very motivated. Done Deal! Manchester City have completed the first move of the day! Daniel Arzani completes move from Melbourne to Manchester City. 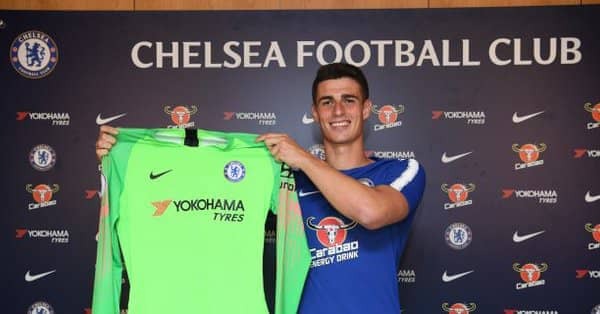 Chelsea completed a record £71.6 million deal for Athletic Bilbao goalkeeper, Kepa Arizabalaga on Wednesday evening. The London club also have a prospective loan deal for Mateo Kovacic in the works as Thibaut Courtois moves the other way to Real Madrid on a permanent deal. Tiemoue Bakayoko could also be on his way out of Chelsea as the team hopes to let go of some players. Italian outfit, AC Milan are keen on a loan deal for the French midfielder. A number of Premier League sides are also interested in the services of English midfielder, Danny Drinkwater including West Ham, Everton and his former club Leicester City. Liverpool are expecting some outgoings. Grujic could be going back to his former club, Cardiff on loan while their goalkeeper Mignolet has attracted interests from Napoli. Chirivella might be on his way to Celtic before the end of the day. Danny Ings is looking for first-team football and Liverpool will let him leave to Crystal Palace or Southampton.